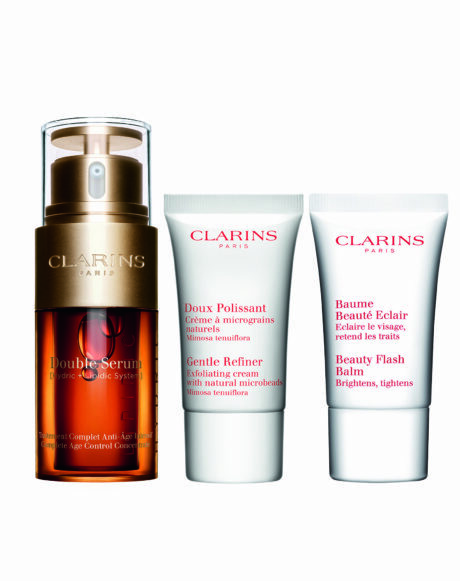 If you’re looking for the perfect alternative to traditional flowers and chocolates to give to your mother this Mothering Sunday, CLARINS have the answer. 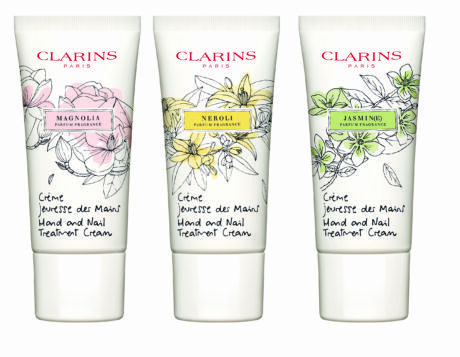 Available at Frontlinestyle Hair and Beauty Salons from February 11th 2018, the CLARINS Limited Edition ‘White Flowers Collection’ includes key products to address a myriad of beauty needs. Presented in pretty packaging featuring elegant, exquisite floral designs, the ‘White Flowers Collection’ is the ultimate Mother’s Day treat…and you’ll still be giving flowers of the very special kind! 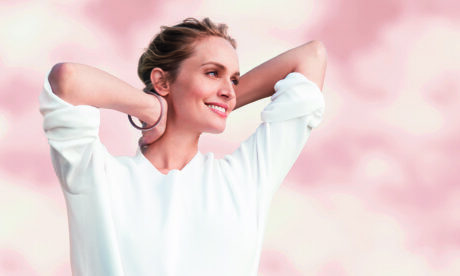 As well as the ‘White Flowers Collection’ CLARINS are also offering Treatment Fragrance and Double Serum Coffrets stocked at Frontlinestyle in Wells and Bath, Somerset. The NEW Limited Edition Hand and Nail Treatment Cream Trio is a fresh take on the iconic Hand and Nail Treatment Cream known for comforting and nourishing hands on a deep level without leaving a greasy residue. 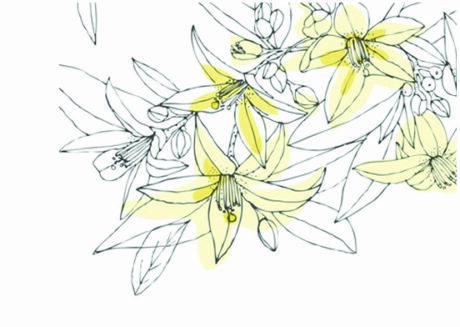 This wonderful trio is being offered in fragrances Neroli, Magnolia and Jasmine – three flowers which will transport you to Spring and Summer in an instant. 3 x 30ml. tubes at £25. For an all over indulgent experience on a daily basis, look no further than the NEW Limited Edition Moisture-Rich Body Lotion Trio in delicate scents of Magnolia, Neroli and Jasmine, offering the full spectrum of fragrance from Nature’s purest white flowers. This creamy balm moisturises and softens skin while rebalancing texture and suppleness. 3 x 75ml. tubes at £30. 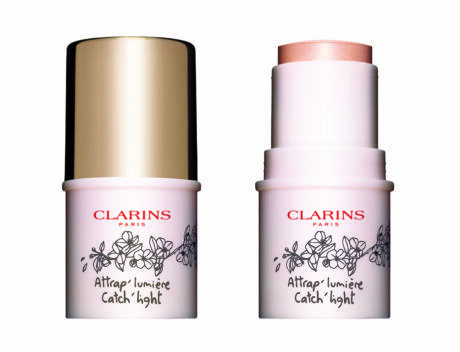 NEW Limited Edition Catch Light Face Stick is a non-sticky balm which creates a soft pink pearlescent glow for the contours of the face. Enhancing the bone structure of the face with its natural sheen, it adds an element of magical allure to complexions of all types and ages. 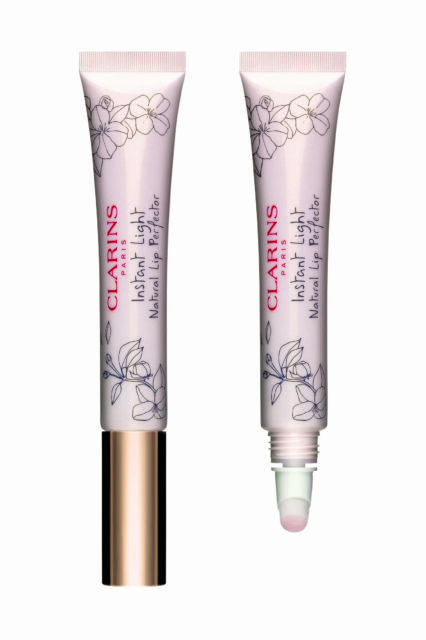 Finally, for the perfect pout whilst moisturising and conditioning dry lips, CLARINS NEW Limited Edition Instant Light Natural Lip Perfector is a unique lip gloss with golden pearls and a pretty pink shimmer, both of which create a high gloss lip tint adding fullness and plumping lips and their contours. It has a wonderful creamy texture and offers 4 hour hydration making it ideal for nourishing lips exposed to cold winter months. 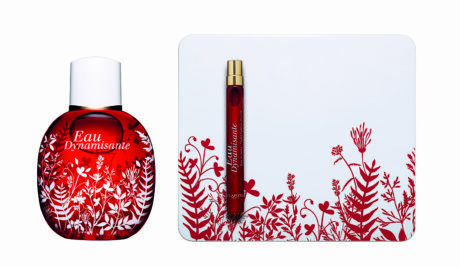 The NEW Treatment Fragrance Gift Sets are wonderfully presented in glass flacons etched with a delicate floral design echoed on the presentation box. Each set contains a fragrance spray and a 10ml. refillable slimline spray designed to fit neatly into a handbag or purse. The three scents to choose from are Eau Dynamisante; the infamous fragrance with essences of Lemon, Ginseng, Patchouli and White Tea blended into a fresh, invigorating aroma. Eau Ressourcante is a soothing, calming fusion of essential oils of Basil, Iris, Cedarwood and Sarsaparilla formulated to impart a sense of relaxation and serene calm. Last but certainly not least is Eau de Jardins, reminding us of a Spring garden with its notes of wild rose, woody tones and fruity zests creating an aura of gentle dreamy fragrance whilst moisturising and soothing your skin. For the ultimate treat for your Mother and her skin, look no further than the ‘Youthfully Radiant Double Serum Coffret’ and the ‘Radiant and Rested Double Serum Coffret.’ The ‘Youthfully Radiant Double Serum’ Gift Set consists of the iconic, ultra-effective Double Serum, Gentle Refiner with state-of-the-art microbeads for polishing and smoothing skin whilst tightening pores and Beauty Flash Balm, the ultimate skin refiner and ‘pick-me-up’ for glowing, healthy complexions. Gift Set at £57 contains: Double Serum 30ml. 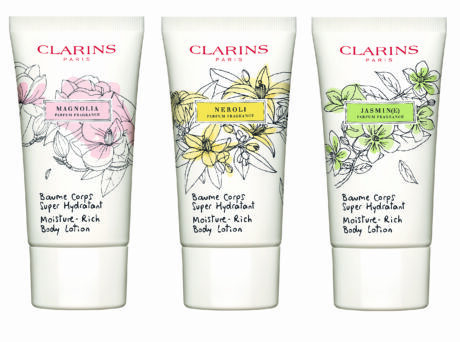 For further information on the CLARINS ‘White Flowers Collection’ please call us on Tel: 01749 672225 (Wells salon) and 01225 478478 (Bath salon.) Alternatively drop by one of our friendly, professional salons to discover the NEW Collection from CLARINS.